CD DVD laser / inkjet labels matte white, can be printed on high resolution printers. CD Labels ProLabel # 1118. 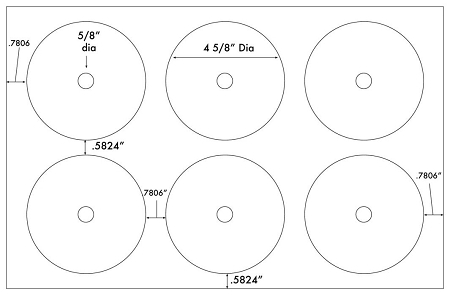 Label size is 4 5/8" round with 5/8" center hole. Six disc labels per 11" x 17" sheet. These photo quality matte DVD CD labels work equally well with laser printers or inkjet printers.